ICAN has identified more than 300 banks, pension funds, insurance companies and asset managers in 30 countries with substantial investments in nuclear arms producers. Our study, undertaken by ICAN’s Dutch partner PAX, called Don’t Bank on the Bomb provides details of financial transactions with over 20 companies that are heavily involved in the manufacture, maintenance and modernization of US, British, French and Indian nuclear forces. We are appealing to financial institutions to stop investing in the nuclear arms industry, as any use of nuclear weapons would violate international law and have catastrophic humanitarian consequences. By investing in nuclear weapons producers, financial institutions are in effect facilitating the build-up of nuclear forces. This undermines efforts to achieve a nuclear-weapon-free world and heightens the risk that one day these ultimate weapons of mass destruction will be used again. 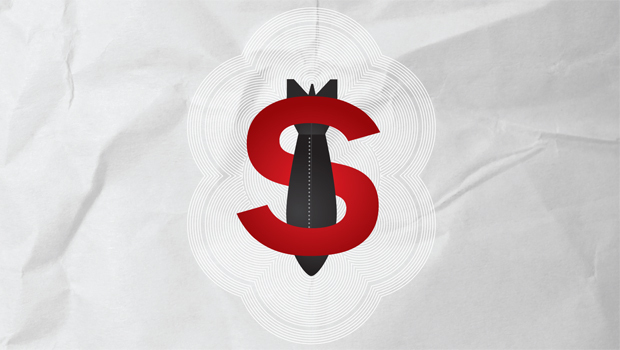 The Don’t Bank on the Bomb report, issued every year, provides the basis for coordinated campaigning to discourage financial institutions from investing in nuclear weapons companies. Taking action can involve meeting with bank representatives, organizing protests outside their headquarters or branches, raising public awareness, finding allies and promoting boycotts. How to begin: Let the financial institution know who you are. Do you hold a bank account with them? Are you a member of their superannuation plan? Do you own shares in their company? Are you writing as a representative of a particular organization? Are you simply a concerned citizen? What to include: Inform the financial institution that you are aware of their investments in nuclear weapons companies. Specify which companies and briefly describe the activities these companies are engaged in. Outline why you believe that financing nuclear weapons is illegitimate. Ask for information: Inquire as to whether the financial institution has a policy on investing in the arms industry. If you are already aware that such a policy exists, ask the institution to explain how its investments in nuclear weapons companies can be justified under the terms of the policy. Call for action: Call on the financial institution to divest from all nuclear weapons companies. Explain that nuclear weapons are illegal to use and have catastrophic humanitarian consequences. End by making it clear that you expect a response. BAE Systems, which is involved in the British and French nuclear weapons programmes. The financing of these companies contributes to the build-up and modernization of nuclear arms and undermines efforts to achieve nuclear disarmament. It also heightens the risk that one day these inhumane weapons will be used again. Any use of nuclear weapons would violate fundamental rules of international law and have catastrophic humanitarian and environmental consequences. I strongly encourage you to divest from these companies without delay. The support of your bank and other financial institutions will be crucial to the success of worldwide efforts to abolish nuclear weapons. I hope that you will assist rather than impede efforts to eliminate this ultimate threat to our future. I want my savings to help secure my future and that of my family, not undermine it. Unless you can reassure me that you will no longer invest in nuclear weapons producers, I intend to move my funds elsewhere. I look forward to your response to these concerns.